Once you get to Altamira you are going to want to know how to get around. 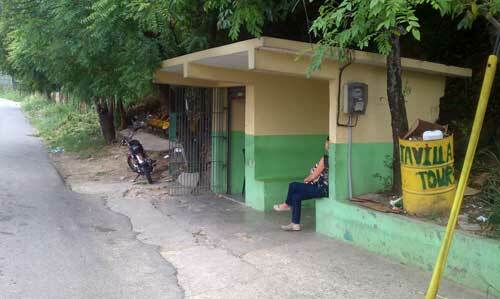 In Altamira you will find two bus stops for the local public transportation or Guaguas. 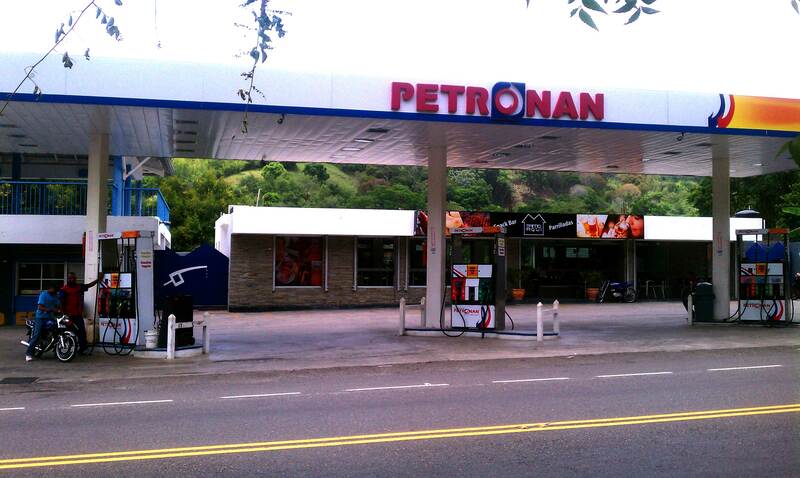 Both of them are right next to Altamira’s only gasoline station, Petronan (la Bomba). While these are main bus stops where they always stop, you can catch a gugua anywhere along the highway by flagging it down when it goes past. The main Guagua that services the carretera Navarete (the highway) between Navarete and Puerto Plata is Javilla Tours. You will also find public cars along the route but most people end up using the Guagua. Starting from Altamira you should end up paying 65 pesos to get to Puerto Plato or to Santiago, 40 pesos to get to Navarete and 50 pesos to get to the assembly hall in Via Gonzalas. You can also use this same Guagua to head down the street to the Kingdom Hall in La Piedra for 20 pesos, but casually it is easier to use one of the Moto Conchos (motorcycle public transportation) for about 25 pesos. Javilla Tours runs from about 6 in the morning to about 8pm. Most days you can expect to see a guagua every 20 minutes or so. If you see a Javilla Tours bus pass you with out stopping don’t panic! There is also an express from Puerto Plata to Santiago that does not stop. The buses look about the same but if they don’t honk (asking you if you need a ride), they are likely the express bus. 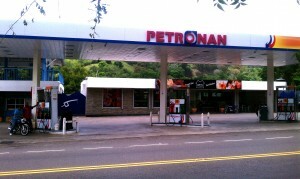 Directly across the street from the Petroman gasoline station is the bus stop for Santiago. Sometimes there will be a moto concho there to take you into town but more likely you will have to walk down the street towards town about a block to the other bus stop where most of the Motoconchos hang out. The motoconchos will take you almost any where in Altamira for 25 pesos. If you put two passengers on the bike they will charge for two people or 50 pesos. There are a couple places to sit while you wait, under the overhang are some bench seats, and under the tree are some plastic stadium seats. The buses do get crowded at times to it is a good idea to stand and get in line when the bus comes. They will never turn you down from getting in but, if there are no more seats left you will end up standing in the isle. Depending on the driver the ride can get a little crazy so it is best to be able to sit if you can. When riding the bus you the cobrador (person that takes the money) will help you with any luggage you may have. Often they put bags under the seats up in front so you don’t have to carry them down the isle. Be prepared for teh bus to take off while you are still trying to get to a seat. Many people coming to the Dominican Republic choose to stay at one Hotel on one beach. Which is nice but you don’t get a very good feel of the island. If you have time (at least a couple weeks) it’s nice to explore the island some. You have two choices in doing this, one is to rent a car. This is pretty expensive and your nerves will be shot after a couple hours of trying to navigate through one of the cities. The second way is to use the public transportation.